There's been resurgence in the last few years for the good old adventure game; whether it's Telltale Games' episodic titles or smaller budget indie games, like Gemini Rue. The popularity of downloads means formally niche genres can find their audience easier and it's not hard to think that a game like KING Art's The Book of Unwritten Tales wouldn't have existed a few years ago. It's a great looking, classic style point and click adventure game but does it reach the heights set by LucasArts and Sierra? 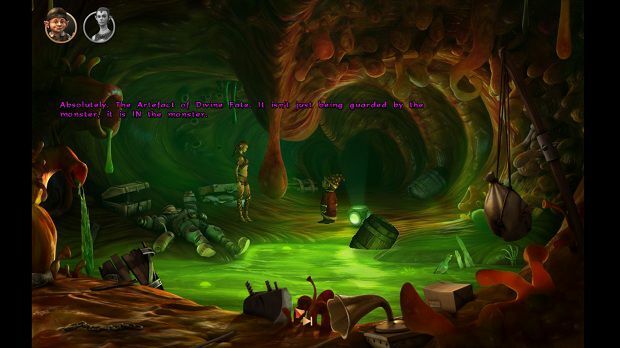 The Book of Unwritten Tales is a traditional point and click adventure game through and through but with some smart additions. You control three separate characters during the game, swapping between each of them after completing the current segment of the game. There's Ivo, the flame-haired wood elf princess; Wilbur Weathervane, the aspiring gnome mage and Captain Nate, the rogue-ish treasure hunter. All have been drawn into a plot concerning a gremlin archaeologist, called MacGuffin, who has discovered an artifact that could potentially win the ongoing war between the forces of good and evil. MacGuffin is kidnapped by the evil orc wizard Munkus and our trio of heroes must find the human Arch Mage to ensure the safety of the world. The story doesn't take itself too seriously despite seeming to be a traditional fantasy setting, for example Gnomes are apparently technical geniuses already experimenting with genetics and robotics. There are airships, befuddled wizards and all the Orcs speak with a Yorkshire accent. There's a significant amount of fourth wall breaking and pop culture references too; at the start of the game Ivo cleverly figures out a plan to rescue MacGuffin will leave the attractive elf as the main character of the game, not the diminutive green-skinned gremlin. There are some jokes at the expense of a pair of online gamers, addicted to a game that promises "escapism into the fantasy world of parking tickets and tax returns." The pop-culture references are plentiful but they're not slap-you-in-the-face, un-subtle gags like those seen in the recent Shrek movies. There’s a casual remark about dwarves having a thing about the number seven, Ivo hums the Indiana Jones theme tune whilst using a whip and there's a conversation where there's two jokes that reference Full Metal Jacket. 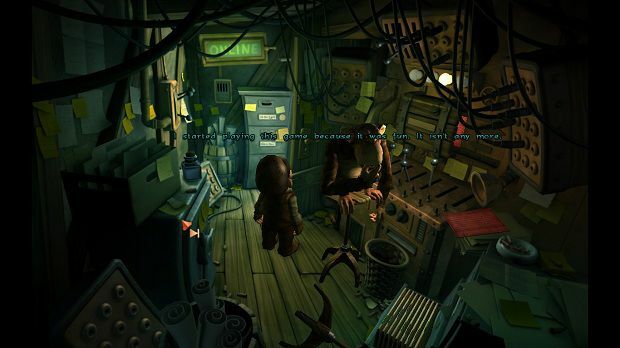 As for the gameplay itself, it's fairly standard point 'n click fare; characters will need to find and interact with clues in the environment, sometimes combining items to solve puzzles. It's no different from any LucasArts or Sierra point and click adventure, so if you're familiar with those games then The Book of the Unwritten Tales will be instantly familiar. Even then, it can take a few clicks to pick something up as the character will normally explain exactly what it is first. The real problems come from some obscure placement for some of the objects in the game world; in one of the first parts of the game, a box that's vital to solving the situation is obscured by the character kneeling in front of it. Would it have been so hard to put the box to the left of the character in full view? In another case, a vital white-ish grey tarpaulin is needed but it's been left on the snowy ground. It barely stands out and again, it's the pixel hunt gameplay that frustrates as it's the only option here. As for the puzzles themselves, they aren't too complicated and thankfully free from the obtuse logic that blights so many games of the genre. Want to open a crate? Use a crowbar. Need to grow something? Plant some seeds in a pot and add fertilizer. Need to brew some coffee? Well, first you need to light the fire. So you need fuel and an ignition source. 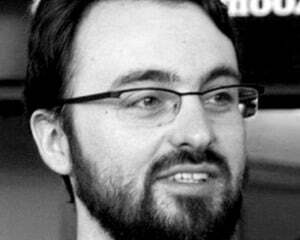 The practical nature of the early puzzles is refreshing, coming from someone who is deeply practical and pragmatic. Whilst the simpler nature of some puzzles is welcome, the game suffers from the all too common problem of not letting you work with certain items until you talk to an NPC. It makes for some frustrating journeying back and forth just so you can pick up a vital object. 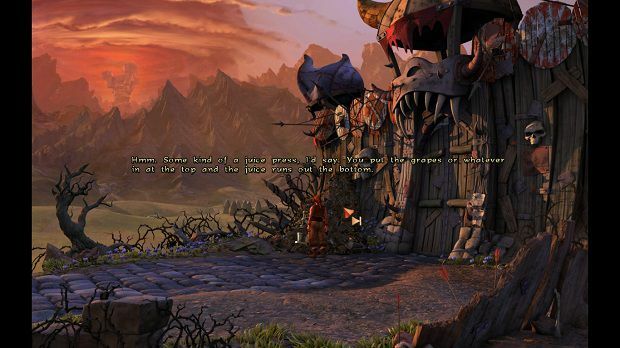 Whilst this approach may mean the game isn't as challenging for a point and click veteran, The Book of the Unwritten Tales has a gentle learning curve that does become more complicated as the game progresses but never asks you to make huge leaps in logic. One of the best sequences comes late in the game where all three characters are required to work together to progress, but the sequence never ends up as a mess because it’s always clear what they need to do to move forward. Aside from some of the pixel hunt aspects of the gameplay, there’s little to fault with The Book of Unwritten Tales; the voice acting is good all around, the jokes are actually funny (despite the gaming gags being a little too blunt and on the nose) and as I’ve mentioned the game itself looks beautiful. There are still some problems though; after an exciting opening, the game almost completely does away with any pre-rendered scenes between chapters, merely dumping the player in a new location after a loading screen. Some sections of the game feel slightly extended for the sake of making them longer: one part had me move back and forth between two characters, with no real puzzle elements involved, I just had to talk to one NPC for an item and take it to the other. It felt that this was simply put in to make the section as a whole just a little bit longer. On the other hand, there’s a section where Wilbur visits an alternate universe that’s completely glossed over, he simply returns with the item he needs, remarks about his adventure in the other world and moves on. Scoring The Book of Unwritten Tales is hard because the game will succeed or fail depending on how easy or hard the player finds the puzzles. Whilst they initially require little more than some common sense, the puzzles start to increase in complexity. 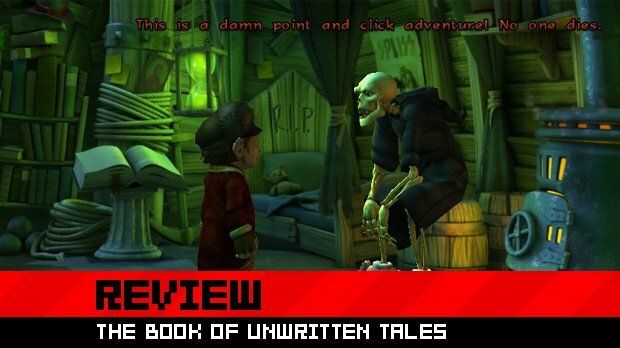 However, they never seemed purposely obscure or frustrating (aside from a late game challenge that relies on trial and error and is a real slog to get through), so if you’re a novice point and click gamer then The Book of Unwritten Tales will be a great starting point. Whilst there are undoubtedly flaws, sometimes in the game’s mechanics or structure, the strong writing, elegant design, quality voice acting and beautiful visuals should keep you compelled to carry on.